Detox diet (short-term for detoxification) is one of the fad diets - diets that gets popular easily and then fall out of fame also as quickly. 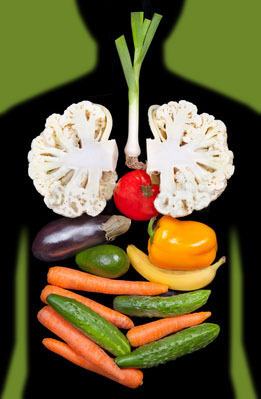 A detox diet's main help to the dieter is to flush away toxins in the body thus cleaning the body from any bad stuff. It also minimizes the amount of chemical ingested in the body, emphasizes foods that provide the vitamins, nutrients, and antioxidants that the body needs for detoxification and the food it contains high fiber foods and water that draw out and eliminate toxins through frequent bowel movements and urination. With these reasons, people are activated to try this detox diet. • Improved digestion, better elimination, less constipation, gas, bloating and indigestion. • Freedom to breathe more deeply. • Less allergic or reactive responses to foods. You will likely experience less mucus and congestion and a clearing of sniffles and coughs. • More energy, better nutrient absorption, overall improved health. • Balanced pH; improved alkalinity, less acidic. • Weight loss and the realization that you can enjoy a lighter style of eating. • Sense of satisfaction, greater vitality and a desire to choose better foods and develop better eating habits, permanently. • A deeper understanding of how to take care of you with these new found skills. However this detox diet also has its disadvantages. You can experience headaches in the first few days after starting the diet due to caffeine withdrawal, for this, practitioners suggests that the dieter should gradually decrease the amount of caffeine intake prior t other detox diet. Other than that, you can also have too much diarrhea that can possibly lead to dehydration and electrolyte loss. Another side effect is constipation. Constipation may occur if people consume excess fiber without also increasing their fluid intake. Other minute side effects include tiredness, irritability, acne, weight loss, and hunger. Moreover, if a detox diet is insisted by the dieter, it may result to nutrient deficiencies like protein and calcium. To know what food to be eaten while having a detox diet, follow this food list on your way to have an effective but harmless detox diet. 1. Lemons. Are high in vitamin C. Its vitamin C - considered the detox vitamin - helps convert toxins into a water - soluble form that's easily flushed away. 2. Garlic. Add it to everything - salads, sauces, spreads. In addition to the bulb's cardio benefits, it activates liver enzymes that help filter out junk. 3. Green tea. This antioxidant-rich brew is one of the healthiest ways to get more fluids into your system. Bonus: It contains catechins, which speed up liver activity. 4. Cabbage. There are two main types of detoxifying enzymes in the liver; this potent veggie helps activate both of them. Coleslaws, anyone? 5. Fruits, fruits, fruits. They're full of almost all the good things above - vitamin C, fiber, nutritious fluids, and all kinds of antioxidants. Besides, nothing tastes better than a ripe mango, fresh berries, or a pear.